The bestselling American author David Sedaris is a man of many talents. In addition to writing books he is also a humorist, comedian and radio contributor. Sedaris is sometimes referred to as the rock star of writers. 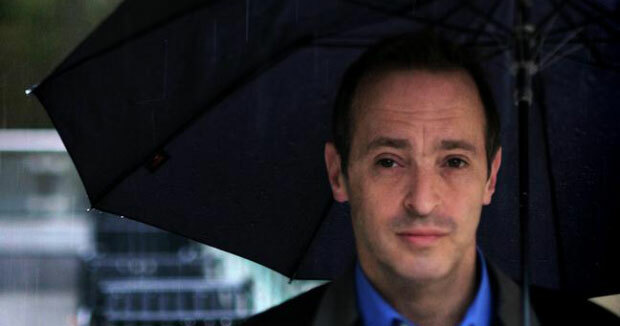 David Sedaris first came into the limelight in 1992 when National Public Radio broadcasted his essay, SantaLand Diaries. In 1994, Sedaris published his first collection of short stories, Barrel Fever followed by five essay collection all of which became New York Times Bestsellers. These collections are titled Naked (1997), Holidays on Ice (1997), Me Talk Pretty One Day (2000), Dress Your Family in Corduroy and Denim (2004), and When You Are Engulfed in Flames (2008). Sedaris released another collection of short stories, Squirrel Seeks Chipmunk: A Modest Bestiary in 2010. Having sold millions of copies, Sedaris’ books are often filled with autobiographical humor with instances from his family life, his middle class upbringing in the suburbs of Raleigh, North Carolina, Greek heritage, various jobs, education, drug use, and his life in France, and most recently in London and the South Downs. Born in Binghamton, New York, Sedaris is the son of Lou, a Greek orthodox and IBM engineer and Sharon, a Protestant Christian. He grew up in Raleigh, North Carolina with five siblings. As a child, Sedaris was interested in arts and experimented in the areas of visual and performing arts without much success. After graduating from Jesse O. Sanderson High School in Raleigh, Sedaris briefly attended Western Carolina University before transferring to and dropping out of Kent State University in 1977. He moved to Chicago, Illinois, in 1983, graduating from the School of the Art Institute of Chicago in 1987. After working many odd jobs across Raleigh, Sedaris landed on a weekly Radio program, The Wild Room after the host, Ira Glass of the program discovered Sedaris reading his diary in a Chicago club. The show completely changed Sedaris’ life. Sedaris’ success on The Wild Room led to his National Public Radio debut on December 23, 1992, when he read a radio essay on Morning Edition titled “SantaLand Diaries”, which described his experiences working as an elf at Macy’s department store during Christmas time in New York. Never looking back, David Sedaris embarked on a journey of success he began recording a monthly segment for NPR and moved on to releasing his first collection of short stories, Barrel Fever in 1994. When, in 1995, Ira Glass began hosting the weekly hour-long PRI/Chicago Public Radio radio show This American Life, Sedaris became a frequent contributor. He also began publishing essays in Esquire and The New Yorker. The literary career of David Sedaris has produced numerous works of attention capturing books with substantial essays and short stories. In December 2008, Binghamton University awarded David Sedaris an honorary doctorate. In addition to being a short story writer and an essayist, David Sedaris is also a playwright. He has written several plays under the name The Talent Family with his sister Amy Sedaris, an actor. These plays include Stump the Host (1993), Stitches (1994) and The Little Frieda Mysteries (1997) all of which were produced and presented by Meryl Vladimer. David Sedaris continues to produce more works of literature. He currently lives with his long term partner Hugh Hamrick, who has been mentioned in a number of Sedaris’ stories.